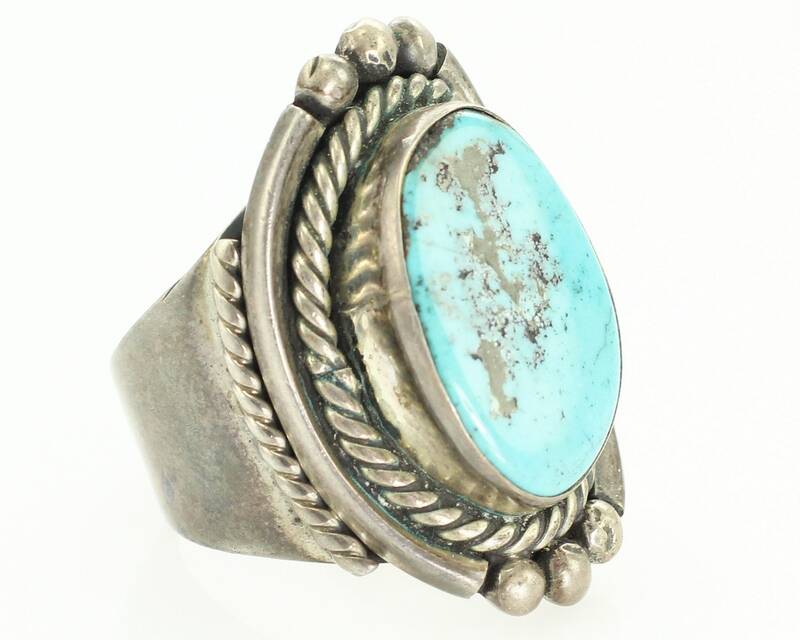 Mans Vintage Sterling Silver Turquoise Old Pawn Ring Size 11. 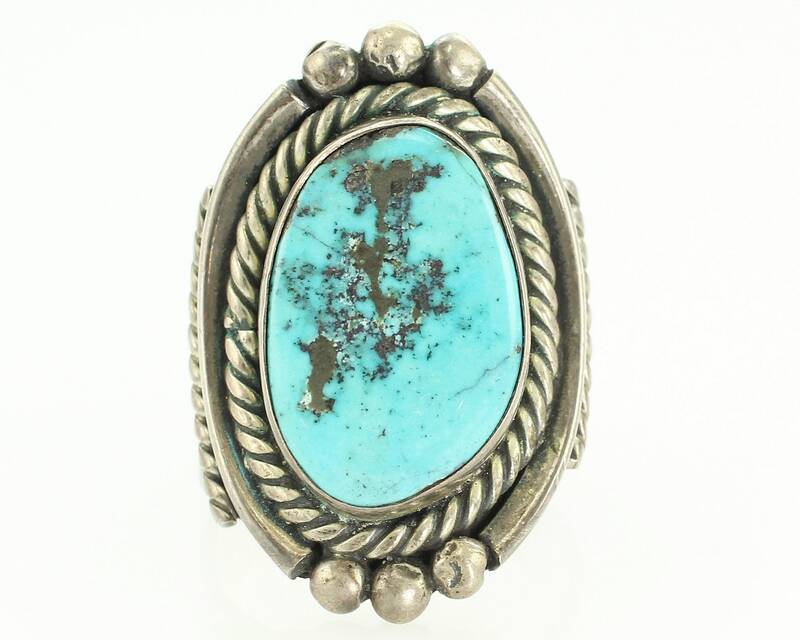 This beautiful hand-made ring has a bezel-set ovalish irregular turquoise slab of blue with gray and black matrix. The stone measures approximately 22.25 mm x 14.6 mm. The stone is framed with a rope twist bezel, a smooth outer bezel and dew drop decorations top and bottom. The ring is finished with a plain tapered shank. The ring head measures approximately 1 3/8 inches tall and 7/8 inches wide. The shank tapers to 7.25 mm. 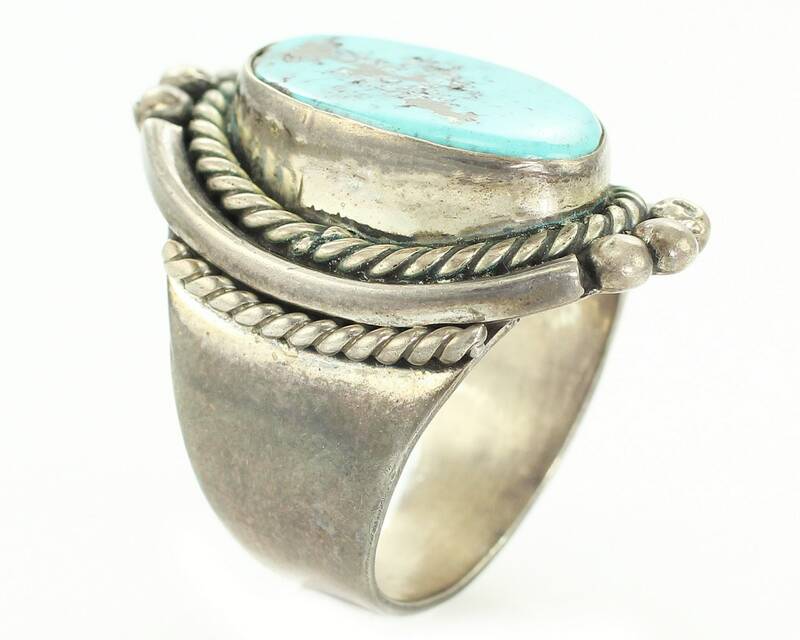 Although the ring is unmarked, it tests as sterling silver. In good vintage condition, having never been worn. 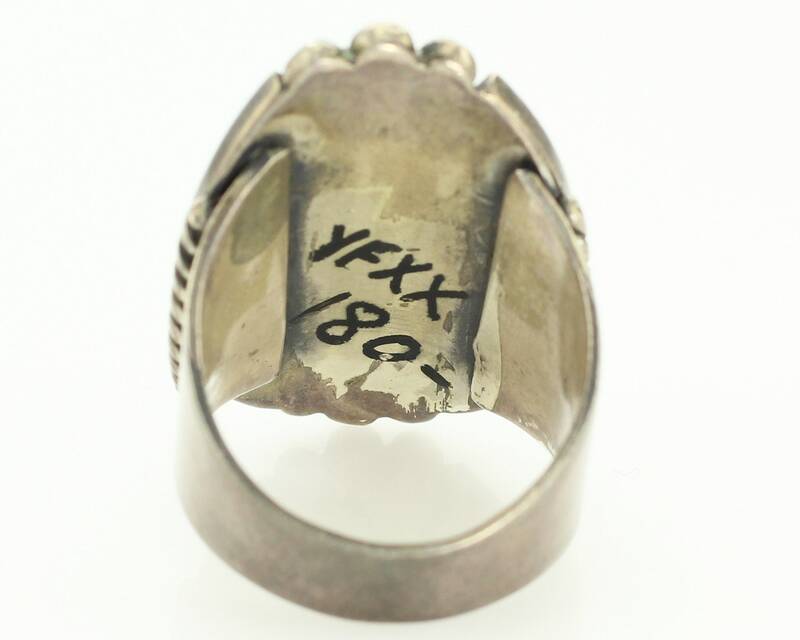 HALLMARKS/HISTORY: Unmarked, but tests as sterling silver. Original ink price on reverse from the 1970s. CONDITION: In very good vintage condition, as the ring was never worn. MEASUREMENTS: Ring head measures 1 3/8" x 7/8"